Cymatodera sp. 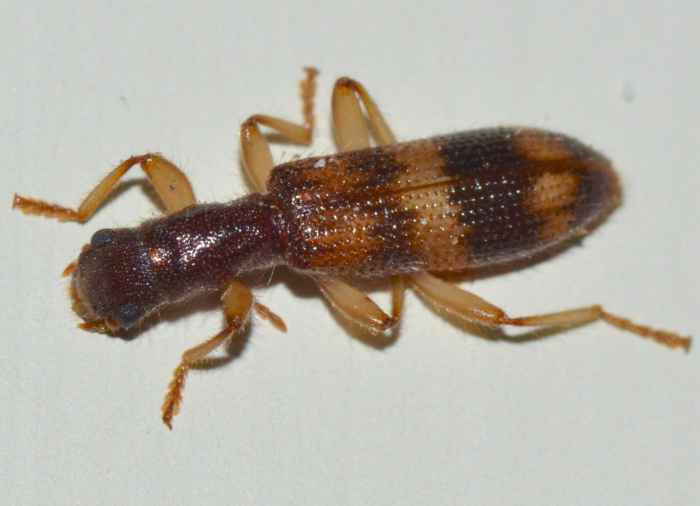 (Checkered Beetle (nonspec.)). Size: approx. 8-10 mm. Photo: 09/11/11, 11 pm. 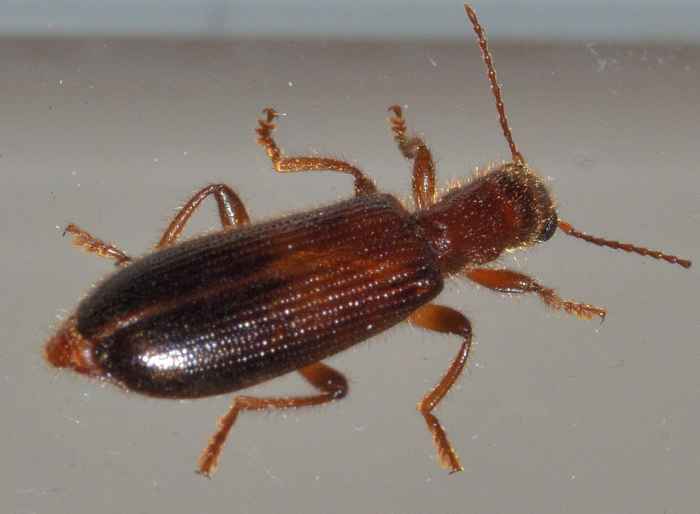 I found this Checkered Beetle next to our living room window. It is probably Cymatodera wolcotti This genus is extremely difficult to identify to the species (of which there are currently over 50). Adults are predaceous and feed on a variety of insects including the larvae of gall wasps, fruit tree lepidoptera, and wood-boring beetles. The small photo was taken on 04/19/12 at 10 pm.